Austin’s reputation as the hippest city in Texas comes not just from its indie music street cred, but from the restaurants and food and catering trends that started here and migrated to the rest of the U.S. Think down-home barbecue, inventive breakfast tacos, and the kind of queso that makes you re-examine your life choices. With a growing population, low housing costs, and a booming job market, it’s no wonder U.S. News & World Report ranked Austin the best place to live in America. Add the city’s major cultural draws to the mix—like South by Southwest, one of the biggest multimedia festivals in the world, which Austin hosts every spring—and it’s no wonder Austin’s on the top of the heap. Even after all the revelers return to Brooklyn and Los Angeles, the Austin restaurant scene is worth writing home about. There’s an impressive local food movement here, as well as restaurant menus filled with global flavor. Here’s everything you need to know about eating in Austin, including the can’t-miss food trends Austin catering dishes up. In North Central Austin, the Allandale and Crestview neighborhoods have been changing fast—even as they hold on to their laid-back, funky charm. The restaurant scene in Allandale is especially appealing, thanks to genteel standbys like Fonda San Miguel, which serves up some of the best ceviche and chile rellenos in town. Newer instituations hold down the fort along Burnet Road, like Tacodeli, a fast casual taco joint that infuses global flavors into its daily specials. There you’ll also find Barley Swine, an affordable farm-to-table restaurant devoted to supporting local farmers and ranchers. Its inventive seasonal dishes, like grilled okra with spicy eggplant and marinated watermelon, are both surprising and affordable. 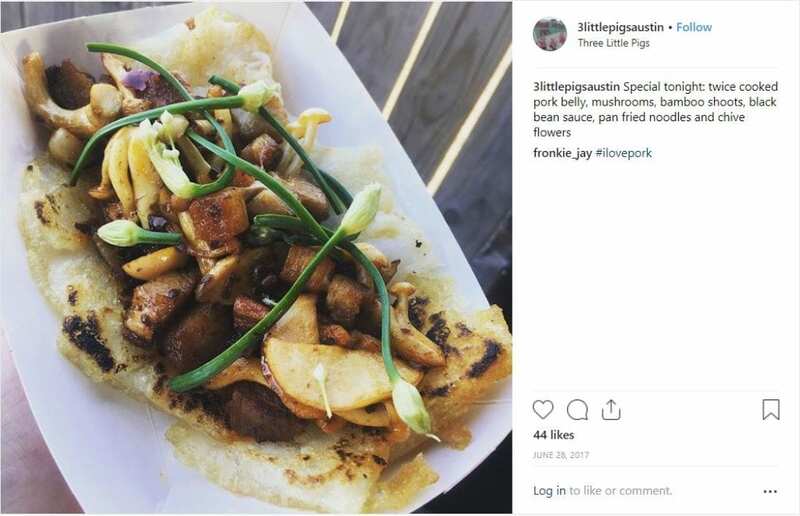 Austin’s many food trucks, like the famous Three Little Pigs, tend to haunt these neighborhoods, too. Rapid gentrification is changing the landscape east of Interstate 35, which means East Austin’s eateries are amid transformation, too. According to Texas Monthly, one of “the best barbecue joints in Texas” is less than ten years old—and it anchors the East Austin restaurant scene. At Franklin Barbecue, write the editors, the brisket “comes out profoundly flavorful and moist with a rich, dark, salty-peppery crust and a rim of sublime, flawlessly rendered fat.” Some blocks away, you’ll find Salty Sow, a farm-to-table gastropub that dishes up pork a thousand different ways. If handcrafted Texas meats aren’t your style, try Fukumoto, one of Austin’s hippest—and best—sushi restaurants. Austin’s Central and Downtown neighborhoods are dominated by students, 9-to-5ers, and state officials with business at the capitol. Amidst the high-rises and luxury hotels, you’ll find plenty of down-home eateries in Downtown, like Holy Roller, a bar and restaurant that mixes religious kitsch with punk rock. They dish out killer savory kolache, a Czech pastry stuffed with queso, crispy potatoes, and jalapeño. For a new way to experience farm-to-table dishes in the Austin restaurant scene, try Wu Chow over on 5th. They offer farm-fresh veggies and Gulf shrimp in their stir-fry, as well as soup dumplings galore. The University of Texas at Austin dominates the restaurant scene in this neighborhood. 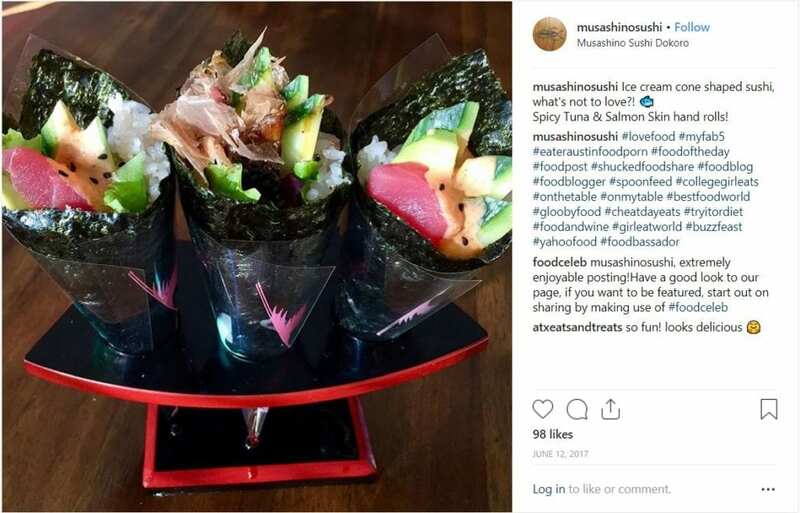 Nearby, you’ll find plenty of upscale Italian restaurants, gastropubs, and a pricey, but exceptional, sushi restaurant, Musashino Sushi Dokoro. Try L’Oca d’Oro for house-made gnocchi and a to-die-for Genovese sauce with braised beef and pork ragu. Into small plates? Your best bet is Mia Italian Tapas & Bar. And if you’re just craving a big, old Texas-sized burger, head to Doc B’s Fresh Kitchen for a spicy “dragon burger” with jalapeño honey and melted jack cheese. These South Austin neighborhoods are where Austinites go for global flavors and vegetarian-friendly dishes. There’s Sway, a modern Thai restaurant in Bouldin where curries, coconut broths, and lemongrass fried rice are the name of the game. If you’re craving Italian, you can’t do better than Enoteca Vespaio, where you can order everything from charcuterie to fresh pizzas and pastas. For healthy but flavorful dishes, Bouldin Creek Café dishes up vegetarian fare galore. In South Lamar, you’ll find trendy spots, like Uchi, a sustainability-minded sushi restaurant with some of the best yellowtail in the Austin restaurant and catering scene. Austin is so famous for its barbecue that it’s easy to overlook how the city has been catering to the needs of alternative dieters. Thanks to the meatless Mexican on offer at the Vegan Noms food truck, and the vegan-friendly menu at Bouldin Creek Café, who needs meat? In Texas, comfort food tends to mean barbecue, kolaches…and biscuits. Which might explain why so many biscuit shops have popped up in the Austin restaurant scene, catering to this demand. Biscuits and Groovy parks in Barton Springs and Hyde Park. You can find biscuits all day at Sawyer and Co. in East Austin. And don’t forget the genuine comfort food at Southern restaurant Olamaie in North Austin. They all serve piping-hot drop biscuits straight from the oven—and they’ll deliver, too. Austin might be a city that smacks of Americana, but don’t discount outside influences—including the allure of warm, nutty spices in Middle Eastern fare. There’s a growing number of Turkish, Lebanese, and Moroccan restaurants, including Ararat Mid-East Fusion, which dishes up pita with roasted lamb, and Kismet Cafe, where gyros and tabbouleh make for easy takeaway. Whether you want ramen or sushi, there’s a trio of must-see Japanese restaurants in the Austin restaurant and catering scene, including Uchi, Fukumoto, and Musashino. But there’s a number of pan-Asian influences making their way into the city now, too, including Rice Girl, a fast casual rice-bowl joint that packs a flavorful punch, and Foodapalooza, which dishes up Asian-inspired barbecue with Hawaiian fried rice and roasted green beans. Thanks to the city’s temperate weather, Austin catering has always been bursting with offerings from food trucks. There’s Three Little Pigs, a heavenly barbecue truck, Foodapalooza, an innovative way-more-than-barbecue-and-tacos truck, and Baton Creole, which serves up fried jambalaya and cajun poutine in East Austin. If SoCal’s claim to fame is the breakfast burrito, Austin catering deserves credit for bringing breakfast tacos to menus country-wide. You’ll find some of the best at Veracruz All Natural in East Austin, one of the city’s favorite food trucks. Need to place an order for a breakfast meeting? Check out Mellizoz Tacos for a potato and chorizo version that will keep your staff powered all day long. No one does barbecue quite like a Texan. In Central Texas, barbecue is all about the meat—hickory-smoked brisket, sausage, and ribs cooked until the meats fall apart. The very best can be found at Franklin Barbecue, an iconic restaurant in East Austin. Never try to add beans to an Austinite’s chili. Here, chili is made with braised beef or pork, as well as tomato-based broth with spices—and that’s it. Head to Texas Chili Parlor in Downtown for a bowl topped with cheese and jalapeños. The only two-a-days we're interested in. What good is a city-wide obsession with chili if you can’t order queso on the side? In the Austin restaurant and catering scene, this ooey-gooey spicy cheese is next-level. Head to a queso master, like Torchy’s Tacos, to sample a version with guacamole and queso fresco. When it comes to Tex-Mex, Austin’s reputation is second to none. But there are other food traditions at work in this city, too, including kolache, a yeasted Czech pastry often filled with fruit or cheese. 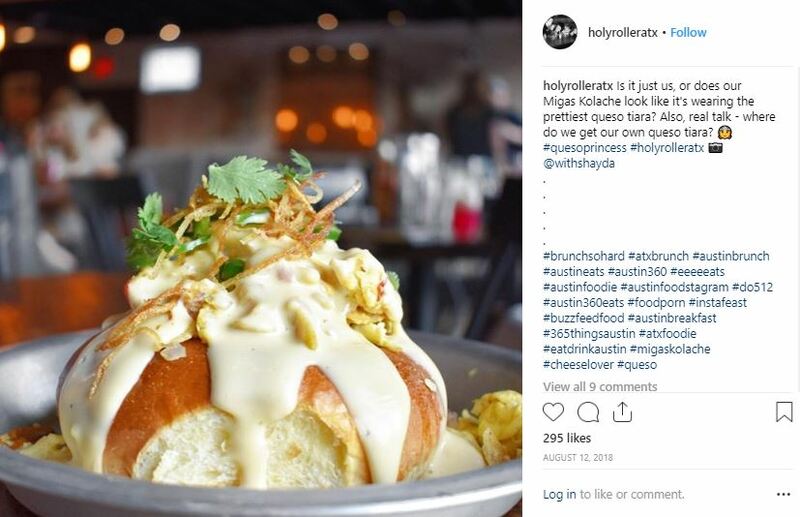 There’s a great savory version at Holy Roller, filled with queso and crispy potatoes. Wonder what else is cooking in Austin? 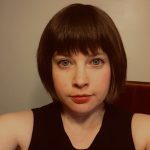 Kristen Evans has written copy for national snack brands and covered food for outlets like Extra Crispy, a TIME vertical devoted to all things breakfast. She’s worked countless shifts as a waitress and a wedding caterer and now writes for BuzzFeed and The Los Angeles Times. Learn more at www.kristen-evans.com.